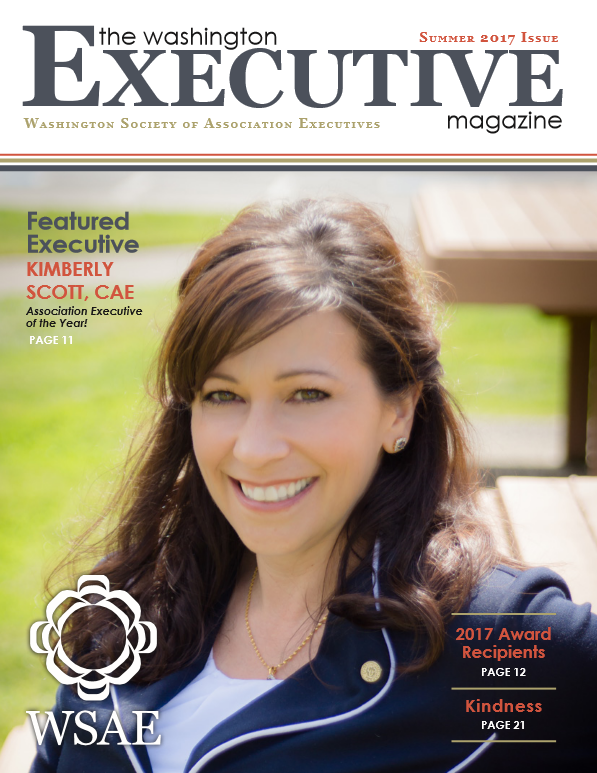 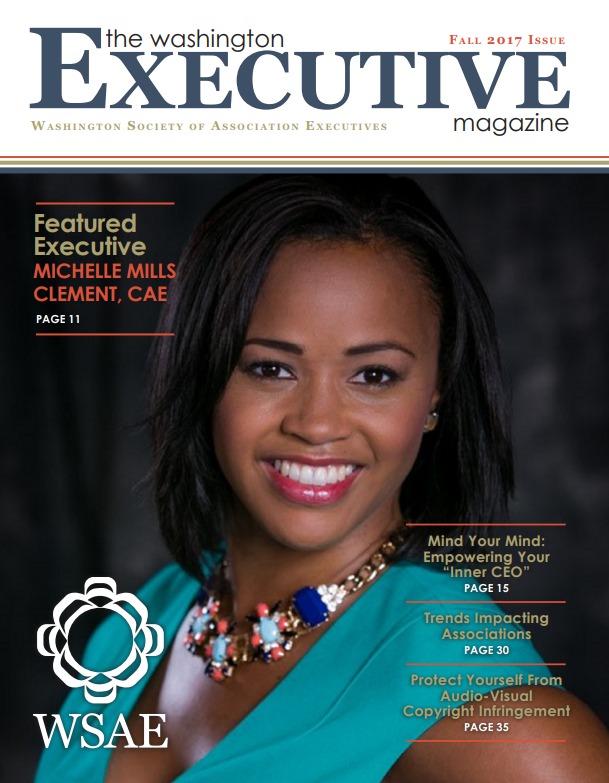 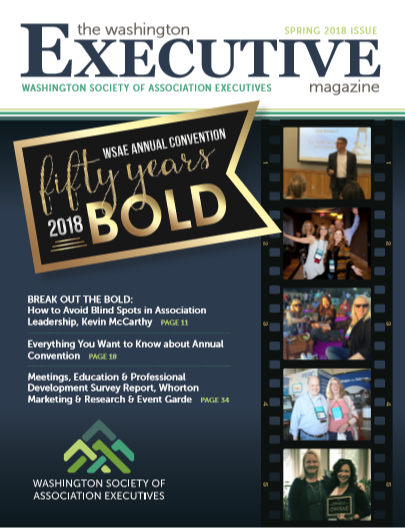 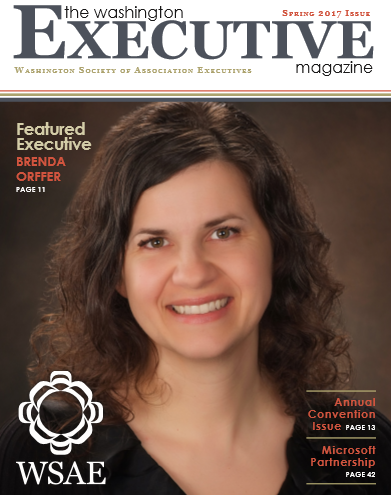 The Washington Executive is the official quarterly publication of the Washington Society of Association Executives and is mailed directly to all WSAE members, and archived here in our publications electronic files. 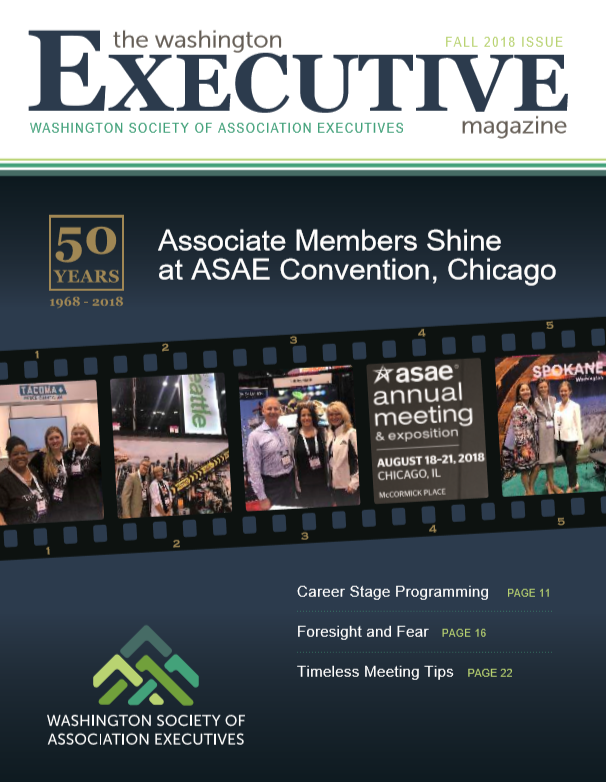 We welcome contributions to our member news. 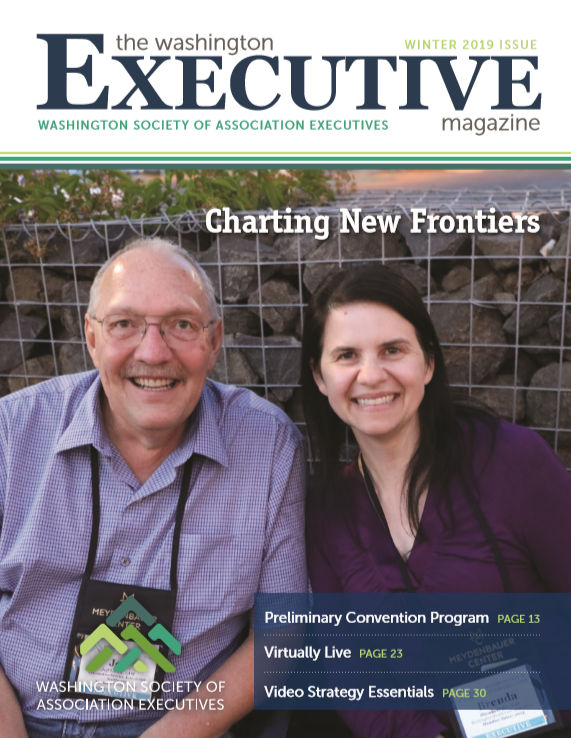 We especially look for job transitions, but also include news that is happening in your organization. 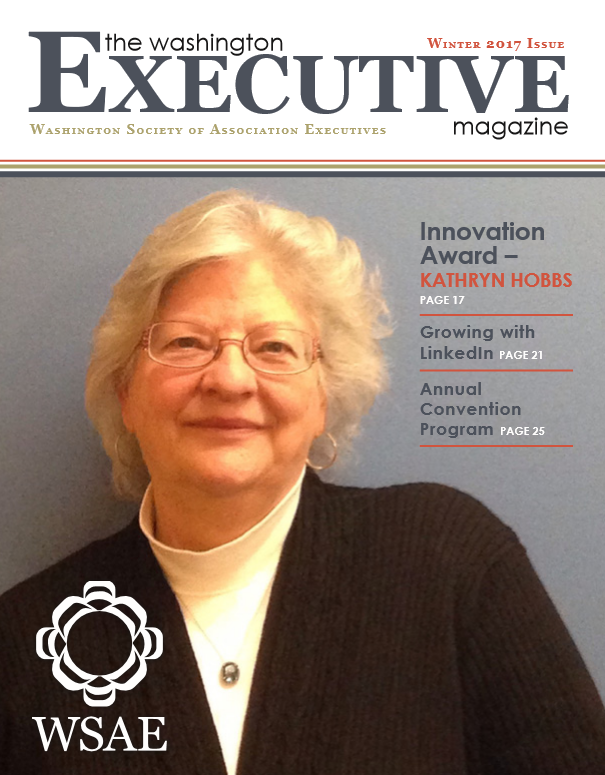 This is an opportunity to share your organizations strengths. 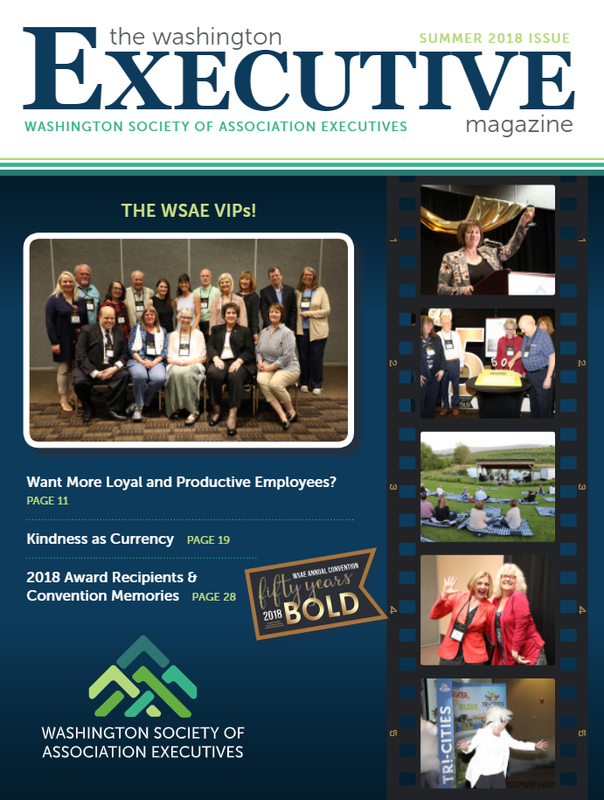 If you've built a new website, launched a new membership drive, added staff, or want to share something unique, this is a great space to do that. 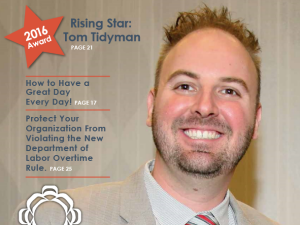 The 2016 fall issue of the Washington Executive features Tom Tidyman, Rising Star recipient, and Executive at SBI Association Management. 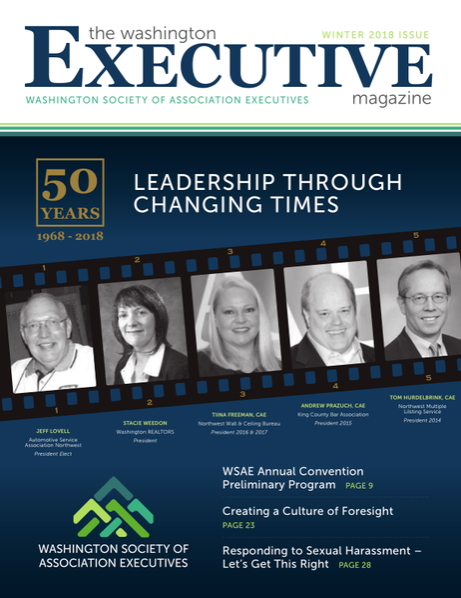 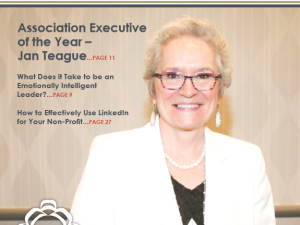 The 2016 summer issue of the Washington Executive features Jan Teague, recipient of the "executive of the year" award, and President/CEO of the Washington Retail Association.